I built my first PC back in late 2013. It was very, very basic and cost less than half the price of this one. It had a generic 250w PSU taken from a 2002 eMachines PC, a 2.8GHZ single core AM3 AMD Sempron, a cheap AM3+ MSI motherboard, 2GB Crucial RAM, a 120GB Kingston SSD (before they changed the memory controller) a DVD writer from Samsung, and a generic "gaming" case. Might make this as a build on here too. Anyway, I upgraded stuff like adding a GT610, adding 8GB RAM, and a 450w CiT PSU. But the thing was still unbearably slow. Things kept taking forever to load, the PC kept freezing. So a new PC was in order. Fortunately, I could reuse a few parts like the SSD, GPU, RAM, optical drive. I spent months researching. I couldn't decide between the G3258, Core i3, 860K, FX6300, FX4300 and so on. 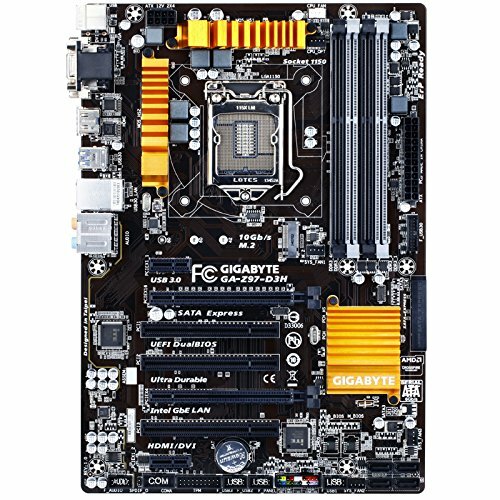 Eventually I chose the FX6300 and some 2011 760g motherboard from ASUS. But I suspected the parts were faulty. They probably weren't, but I got a refund, and with that money I managed to pick up a CORE I5 and a Z97 motherboard. What was originally a budget build turned into a pretty awesome rig. 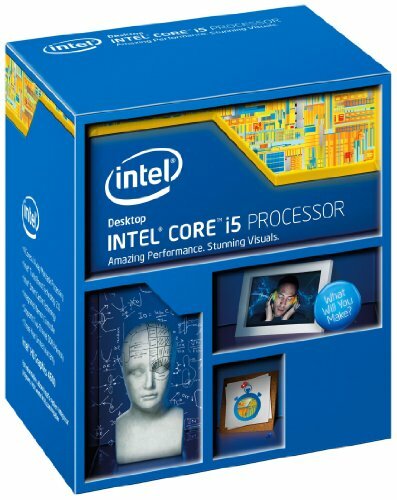 Never did I even dream of having a Core i5 in my PC! Let me just say moving from an outdated AMD FX machine to a modern Haswell Z97 system is one of the best moves I ever made. I get full performance out of my SSD, state of the art features like M.2, and Crossfire. I also have a very exciting upgrade route. Though to be honest, I don't think I'll ever need to upgrade the CPU. If I ever do upgrade anything, it will be the RAM, video card, and CPU cooler. I definitely recommend any first time builder choosing between Intel and AMD to get an Intel CPU, no questions asked. You won't regret it, believe me. If you're on a budget, just pick up one of them cheap Skylake Pentiums (the G4400). I love this rig. The video card is going to be upgraded in April (my birthday) with a GTX 750ti (the ASUS OC edition). It was a heck of a machine to build. It was very hard, as it was in a room with little light, and I kept geting screws stuck. I had difficulty installing the cooler though. Took me about an hour-45 minuets to build and 15 minuets to install windows.It looks great though. I originally settled on a blue colour scheme, as I had blue RAM and a blue motherboard. It still looks great. There are some cool orange/yellow LEDs on the motherboard too. I use the machine for multitasking and some gaming (more when I get the 750ti). I haven't upgraded to Windows 10 yet, although I probably will soon, but Windows 7 is still in my opinion the best OS ever, at least from Microsoft. 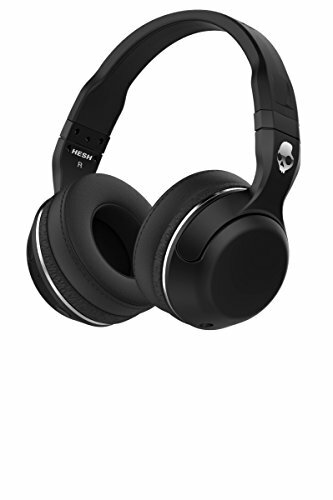 The sound is great on this machine, which is very important as I listen to a lot of music, mostly through my headphones. Thank you for taking the time to read this. I hope I helped inspire someone out there with their PC. I'd like to say that I recommend new builders watch Carey Holzman. He does honest, down-to earth PC builds as well as repairs and he's a great guy. Best PC building videos avaliable. Here is his channel https://www.youtube.com/user/CareyHolzman. I had a local PC repair shop (Brentwood Computer Repairs) do the cable managment, as I am TERRIBLE at doing at it, although after seeing someone do it for 4 hours, I feel like I could easily do it myself next time. My build also takes 15-17 seconds to start up! About a 15 second boot time decrease from the old one. Great value for money CPU. Superior to my old FX6300, although can't say in gaming. Only thing is it can lag when say switching from Minecraft to HWMonitor, where this was easy with the 6300 with no lag. Obviously it has two more cores. Its RAM, does the job. Only 1 stick as I used it to upgrade my old PC, which only had two DIMMs. Looks aesthetically pleasing and is reliable. Maybe upgrade to 16GB later on or 2x8GB sticks. Good SSD, although wouldn't recommend it now, as Kingston changed the memory controller so they are now pretty slow. May upgrade to M.2 or a 850 EVO later on. I regret getting 120GB though, it is a bit limiting. Decent drive. Don't buy it from Amazon though, as the one I got sent first was actually used and was completely dead. 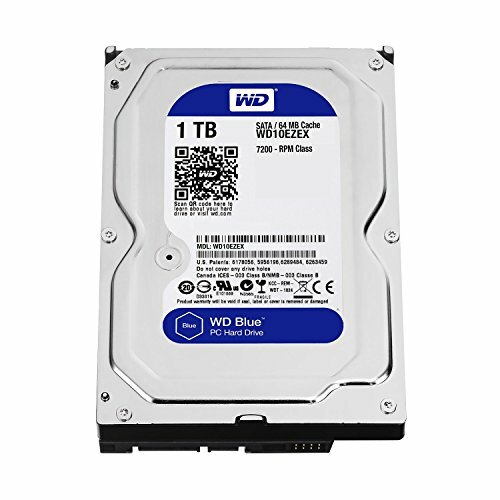 1TB is more than enough for pretty much everyone, including me. I use this to store excess junk and games. Great looking case, but cable management is not great at all. Has a side window though and it houses all the components with ease. 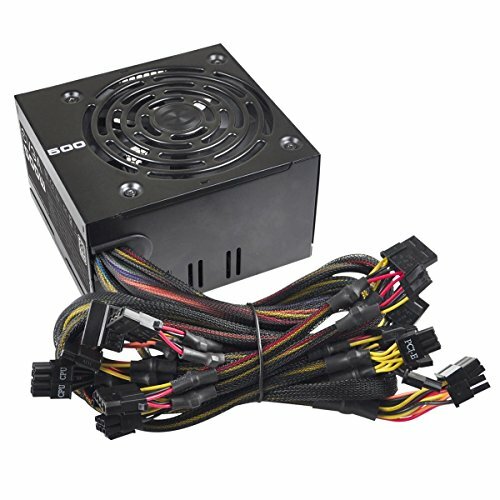 Pretty good PSU, especially compared with the CiT I used to have, but not the best. Its 80+ certified. I like using these things, especially in budget builds, as they are fairly inexpensive, and are of decent quality, despite being made by the dreaded HEC. 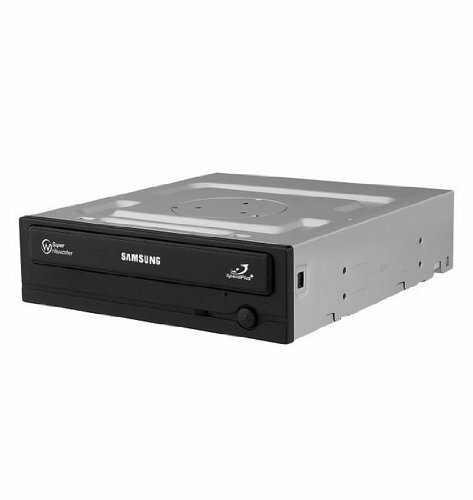 Its an optical drive, it reads and writes DVDs and CDs. Only complaint is that it can get a bit loud sometimes. Very reliable, I used to have a wireless dongle and this is superior in every way. Cheap, and is reliable, as you'd expect from TP-Link. 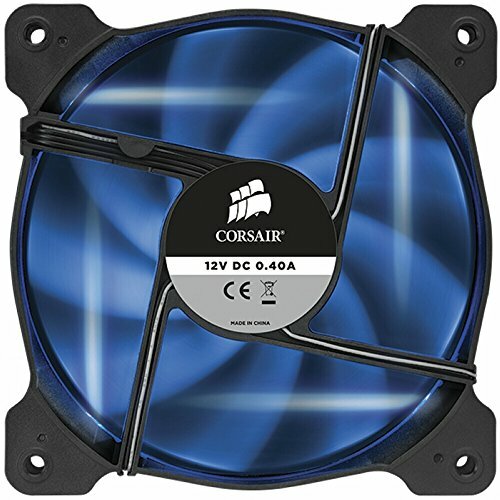 Cool looking fan with a blue LED. Bit noisy though. 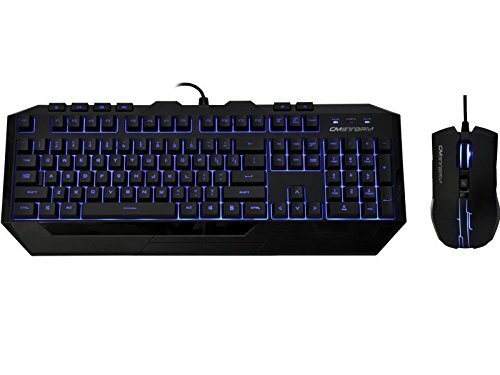 Great budget gaming keyboard and mouse. I love the keyboard, but I'm not a huge fan of the mouse really. AMAZING headphones! I love these. The sound is so crisp and loud. They look awesome too. oh, and you may get people telling you to go AMD and/or upgrade the PSU. I might say upgrade the PSU, but maybe only if you get a higher end video card (and you may want to wait for Pascal, it's supposed to be good, but I haven't seen anything concrete). As for AMD/NVidia - I've owned both, and both work fine. AMD draws more power and can run hot, but that's mostly the cooler tbh. In the end, it's up to you! Yeah. The PSU is of decent-ish quality like I said. I don't usually wait for new video cards as there are always new ones coming out, and there always will be. Shame I already bought the 750ti. Most of the games I play are nVidia optimized anyway. In the future I plan to upgrade to an R9 380 maybe. honestly, that's smart to not wait for the next thing every year. it adds up quickly! Yeah, I have already built it. I was on a bit of budget, hence the 750ti. SLI isn't really for me anyway, as the motherboard only supports CrossFire. Yes yoiu are right the 950 is a bit better than the 750ti. Most of the games I play are more CPU intensive than GPU intensive, I'm not a huge gamer. I play Minecraft, TS2016, GTA V, and CS:GO. you will not be disappointed with that 750 Ti. it's a solid budget card! btw, MC and CS:GO are awesome! eMachines PC... oh yeah baby! ???? ?are you referring to my other build? EDIT: Sorry I didn't see the reference to the eMachines PSU! I wanna see the insides. Yeah, I'll post some other pics soon. Unfortunately, the PC keeps having BSODs even after reinstalling W10. CACHE_MANAGER, IRQL_NOT_LESS_EQUAL, CRITICAL_PROCESS_DIED, MEMORY_MANAGMENT. Before you say its the memory let me just say I did run MemTest for 4 hours and it passed. I also have the latest drivers. Thinking of scrapping it if I can't fix it.